The recent events surrounding the tragic passing of a KAIST freshman have called into question ethical concerns with the current admissions policy. 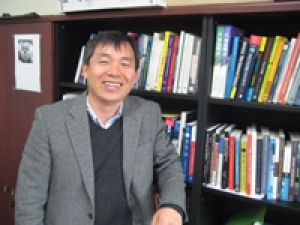 Professor Dal Yong Jin of KAIST’s School of Humanities and Social Sciences drew international attention by publishing Korea’s Online Gaming Empire through MIT Press. 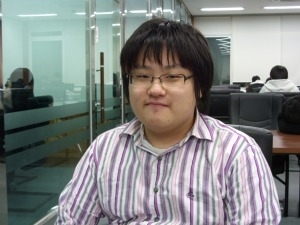 Professor Jin’s interest lies in the convergence of science, journalism, mass media and globalization. 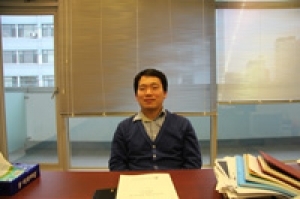 The KAIST Herald met with Professor Jin to learn more about this fresh combination of various fields. It is not every year that the KAIST academic requirements go through major alterations. For the graduating class of 2015, two new mandatory general courses were established, Happy College Life I and II, for the spring and fall semesters of their freshman year respectively. From last December, the courses were designed by current sophomores who had just finished their freshman year. 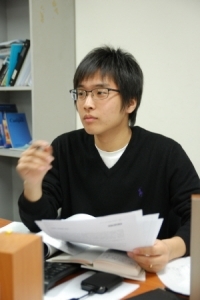 The KAIST Undergraduate Student Club Union is a self-governing body which supports and serves all official clubs on campus, and is currently headed by Kyuhong Byun. With the annual influx of talented freshmen into KAIST, difficulties in taking care of all the new students are inevitable. This is where Bandaehyup comes in. The role of the organization is to both represent and aid these newcomers. Let’s take a closer look at who they are and what they do. KAIST currently has 10,803 students, of which international students from various different countries make up 5%. The KAIST International Students Association (KISA) stands for their rights and helps their integration into the KAIST community. First off, a few words for clarification’s sake: the author of this article is an irrefutable soccer fanatic who absolutely loves Chelsea Football Club. Given the time and opportunity, he would most definitely watch any and all of the Blues’ games on TV. This author, however, just so happens to have much criticism to impart regarding the team’s recent activities. At heart, my nature alternates between two professions: a dreamer and a waddler. Just like how butterflies escape through our hands when we try to catch them, our life is a continuum of dreams that come and go. After breaking the embryonic shell, the reason that it hurts so much after our first fall from grace is that we are not naturally born with an emotional skin. With the mission of “provid[ing] leadership and encourag[ing] partnership in caring for the environment by inspiring, informing, and enabling nations and peoples to improve their quality of life without compromising that of future generations,” the United Nations Environmental Programme (UNEP) would be recognized by the humblest layman as having a lot on its plate. A recent change in legislation now places a ban on teachers' use of physical punishment when dealing with student misbehavior. Many have voiced their approval of what appears to be a triumph for students' rights and the chance to improve the education system, but others fear that the new law will help unruly students have their way. KAIST has students with all sorts of religious views. It shows how culturally diverse our campus is and that in a scientific environment, different religions may coexist peacefully. However, since the beginning of this semester we have seen an increase in religious manifestations. With another academic year at KAIST coming to a close, a long-awaited news greets the KAIST student body; reduction in school fees. 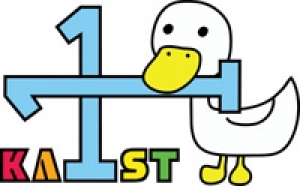 This is one of the results of the hard work from the 2010 KAIST Student Committee. With the completion of its term approaching, the president of the student committee Plus+ shares some thoughts about the past, present and future. It is (at least it was when this reporter was writing this article) mid-November, and the cold is starting to bite. People have resorted to bundling themselves in anything they can reach just to escape from the chilling north wind. Yet, the organizers of the KAIST Autumn Athletics Meet are hopeful that this year’s event will be a success. Ah yes, it’s that time of the year again. Now that Thanksgiving has passed, it is time to gear up for the end-of-year celebrations. Aside from reminiscing about the past eleven months, December is the month you hear the repetitive holiday music on the streets and see shiny plastic reindeers outside department stores. If you are one of the lucky ones, you may even see some snow on your doorsteps. The Internet was boiled up again when Korean rapper MC Mong was charged by prosecutors of avoiding military service by having his teeth removed on purpose. According to the Seoul Central Prosecutors, MC Mong had all of his teeth declared healthy on his first physical checkup in 1998. However, just nine years on, he was exempted from serving in the military because he failed the dental exam. ·[Society] Column: The Four Rivers Project and Conflicting Korean Opinions on "Environment"
As is oft-publicized (particularly around the time of the G20 Seoul Summit), the Republic of Korea has come a long way in terms of economic development. Much of what has been achieved in this aspect has been done so by extensive industrialization during the 1970s and 80s. Yet this attitude of aggressive modernization has precipitated, it seems. Perhaps, the first thing that we see when we wake up in the morning is a janitor cleaning and emptying the waste bins at the dormitory hallway. The organizers of Chungsohak, a student organization devoted to improving the working conditions of janitors and form more trust, were available for an interview during their most recent seminar held on October 7 at the Student Council Meeting Room. The shelves next to The Coffee Bean & Tea Leaf in the International Center have recently been filled. The books, which are both in Korean and in other languages, were donated by Doctor Kew-Ho Lee, a former KAIST student and now a researcher at the Korea Research Institute of Chemical Technology (KRICT).